Say goodbye to a messy space, once and for all. For a room whose entire purpose is to keep the rest of your house clean, laundry rooms are remarkably easy to get cluttered. So while you’re spring cleaning your way to your most organized home ever, why not give this part of your house a little TLC too? 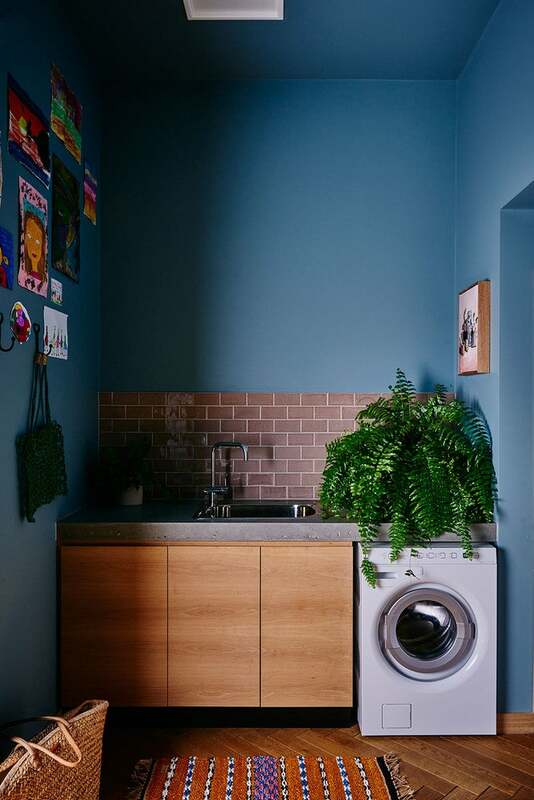 Whether you’re working with a tiny laundry room or are blessed with enough space to fit a full-on laundromat, these are the smart storage products that’ll help you tidy up your room in no time. Small and wall-adhesive, this hamper is a particularly great find for tiny (or even non-existent) laundry rooms. Keep dirty clothes out of sight and off the floor with this chic object. While not expressly created for laundry rooms, this utility cart is definitely a handy tool. Keep anything from detergents to baskets of clothespins in it, and make use of the wheels to tote it around and re-use for storage in any other room of the house. If you have the space, this larger hamper is worth sacrificing some valuable floor real estate. It’s perfect for families because of how much it can hold—plus, the flat surface leaves extra room for keeping folded clothes. No space for a hanging rack? Invest in some quality hangers (AKA: Toss those cheap wire ones that leave indentations in all your shirts) and let your clothes dry on these minimalist hooks. A sturdy basket is a necessity in pretty much every room of the house, but in the laundry room it’s great because it can serve as storage for both dirty and clean, ready-to-fold clothes. Simple, cost-effective, and space-saving, this drying rack is a must for anyone from college students to apartment-dwellers. It folds flat so you can easily fit it underneath your bed or behind a door when you need to free up space. Another ideal tool for larger laundry rooms, this clothing rack is perfect for holding a laundry hamper—or the aforementioned basket—as well as hanging shirts waiting to be ironed or put away.